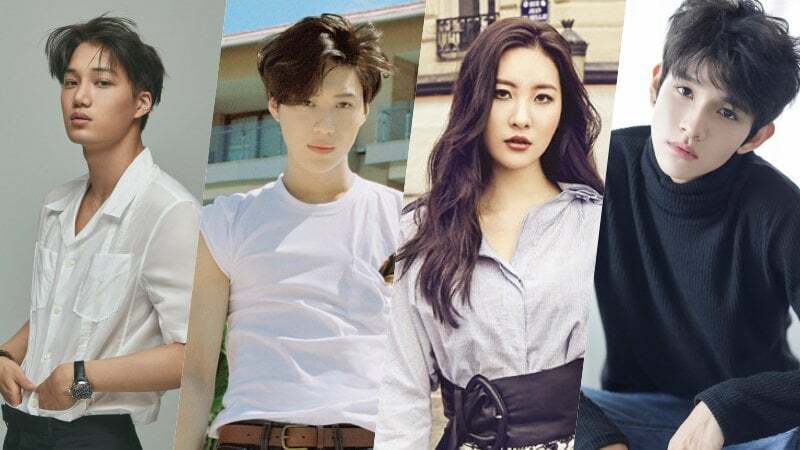 “Happy Together 3” has announced the star-studded lineup for the upcoming “Star Golden Bell” special episode! The teaser revealed on August 9 shares that EXO’s Kai, SHINee’s Taemin, Sunmi, Samuel Kim, GFRIEND’s Yerin, After School and Orange Caramel’s Lizzy, gugudan’s Mina, Cosmic Girls’ Dayoung, SNUPER’s Woosung, Lee Elijah from “Fight My Way,” and more will be starring on the summer special airing on August 24. Prior to the “Star Golden Bell” episode, Wanna One’s episodes will air for two more weeks on August 10 and 17. Girls’ Generation’s episode will also be airing on August 10. “Happy Together 3” airs every Thursday via KBS at 11:10 p.m. KST.